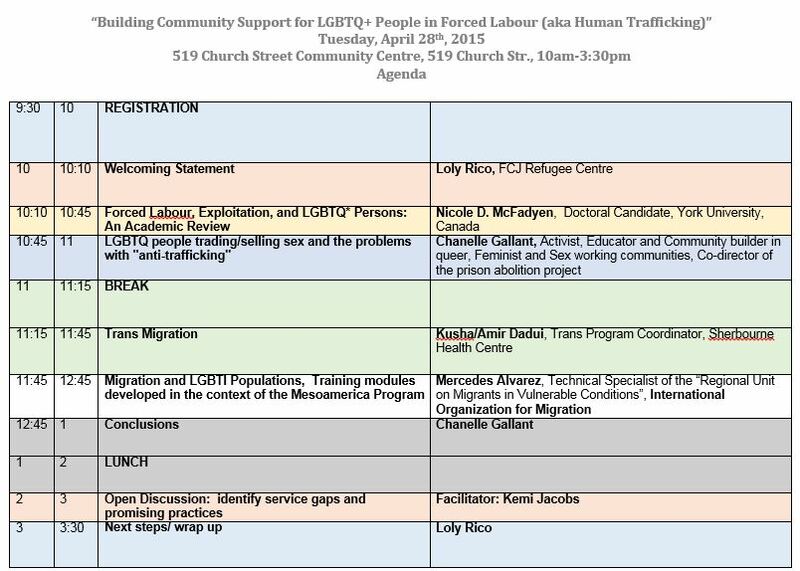 The FCJ Refugee Centre was one of the few organizations in Ontario who received three year funding from the MCSS to continue working with exploited or at risk migrant workers. Currently, there is a lack of services, settlement and/or legal available to migrant workers who are exploited or at risk. To respond to this, the FCJ Refugee Centre received financial support to set up a Migrant Workers Welcome Centre, with three main goals: 1) to prevent instances of labour exploitation by informing migrant workers about labour and immigration laws, policies and available community supports; 2) to identify at-risk or potential labour exploitation cases with the support of peers, and offer holistic case management support services; 3) to collect information about the extent of labour exploitation as well as the complex experiences of migrant workers exploited within the spectrum. Most specifically this project aims to outline the spectrum within which migrant workers are exploited, and the complexities of their unique needs and support which will reflect future policy development. Case management: we will offer a wide range of in-house services, including immigration support and legal information; working with partner organizations to respond to the multifaceted needs of this population. 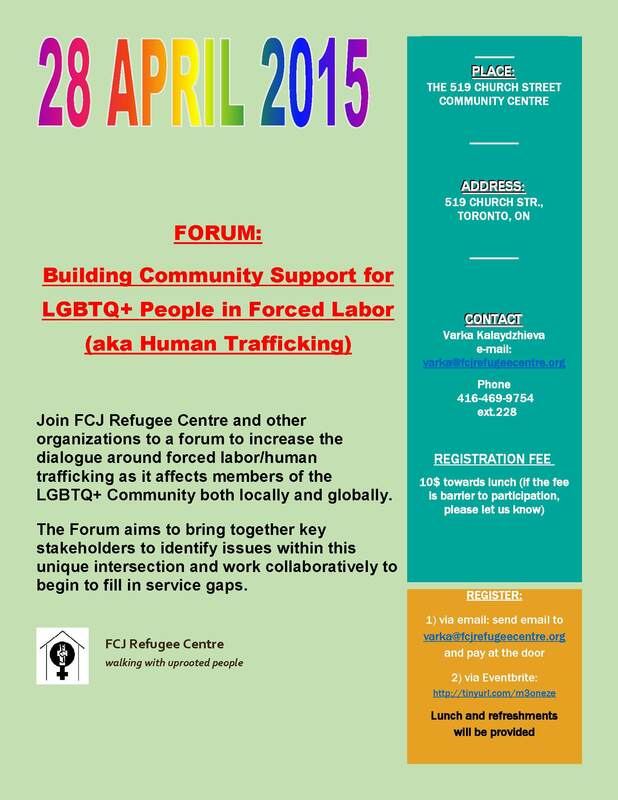 Accessible services: Although some activities will be based out of the FCJ Refugee Centre, services will be carried out mainly at sites across the GTA during flexible hours (evenings and/or weekend) and in areas with high concentrations of migrant workers. Prevention: The Migrant Centre will offer a safe space for migrant workers to share their experiences in a non-judgmental and supportive environment while providing information (immigration laws, procedures, available resources, etc.). Sharing of information and tools will prevent situations of exploitation/trafficking and assist those already experiencing exploitation. Policy Improvements: By collecting information about the instances of exploitation of migrant workers, we can inform and influence policy improvement. 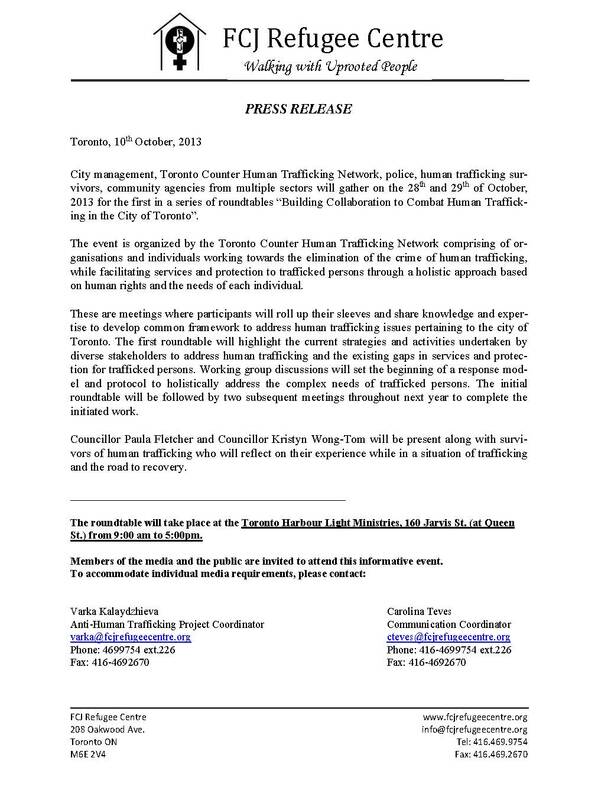 FCJ Refugee Centre is commending Ontario Government’s efforts to end human trafficking in the Province. The announced investment of a $72 million budget in an anti-human trafficking strategy which includes raising public-awareness and improving survivor’s access to services, is encouraging and demonstrates provincial commitment to ultimately tackle the issues that encompass this complex crime. The FCJ Refugee Centre helps uprooted people overcome the challenges of rebuilding their lives in a new society. The Centre offers an integrated model of refugee protection, settlement services and education, including shelter for women and children. The Centre has a mandate to assist refugees and other uprooted people through their settlement process. 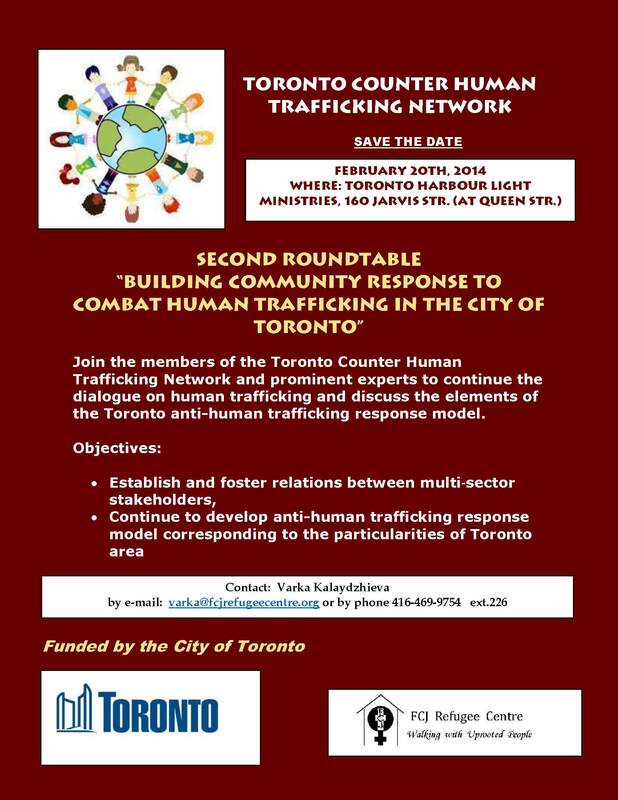 The Centre offers direct services to internationally trafficked persons, including housing; provides training on human trafficking to service providing organizations and other frontline staff; facilitates the Toronto Counter Human Trafficking Network and is a member organization of the Canadian Council for Refugees Steering Committee against human trafficking. FCJ Refugee Centre and East Metro Youth Services have embarked in a short term project funded by Justice Department and related with this year’s victim awareness week. Briefly, we are hosting few focus groups with survivors of human trafficking to ask them about their experience with services they received or lack of such in their path to recovery. Their input will inform better our work and help to improve the response model we have developed. On June 1st, we would like to share with you the results of the focus groups and the have discussion on how to proceed further. Fill free to invite colleagues from partner agencies who you think will benefit from the meeting and will add to the discussion that will follow. Registration will be on first-come first-serve basis given that spaces are limited. Please, send me an email to confirm participation. If you have any questions, you know that I will be happy to try to answer them. Hope to see you soon and meet the new members.